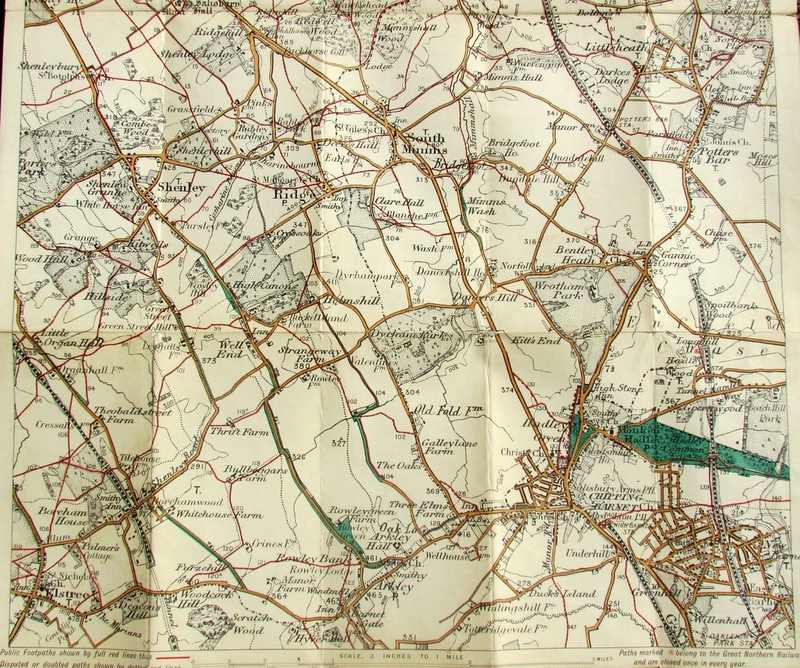 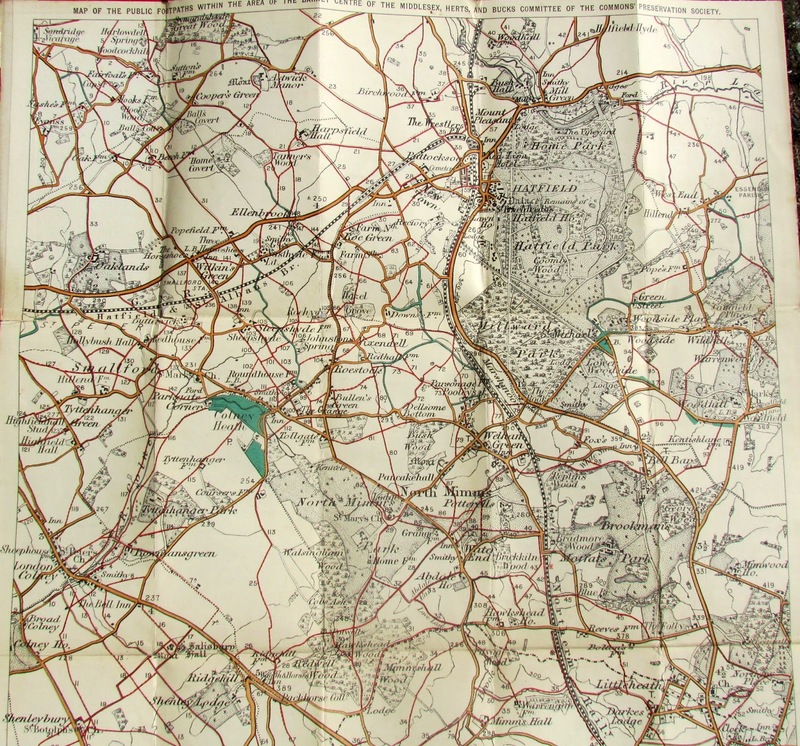 The following images are photographs of a book containing a map of public footpaths in the area produced around 1900 by The Middlesex, Herts And Bucks Committee Of The Commons Preservation Society. 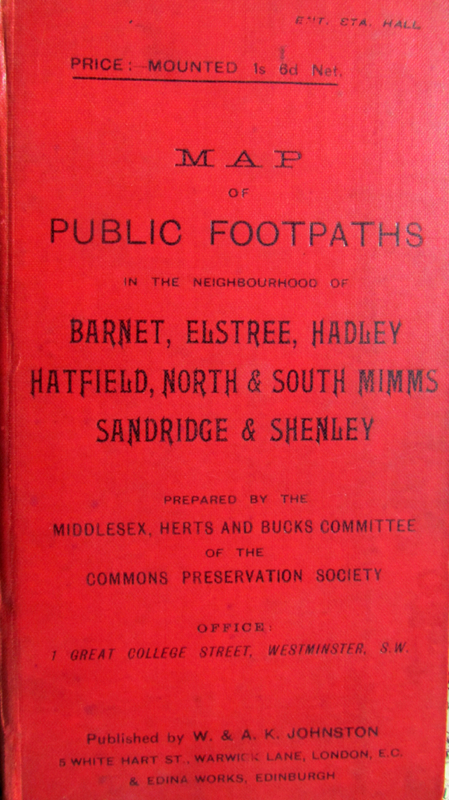 The book was published in order to encourage walkers to report where paths were blocked or where routes had been changed. 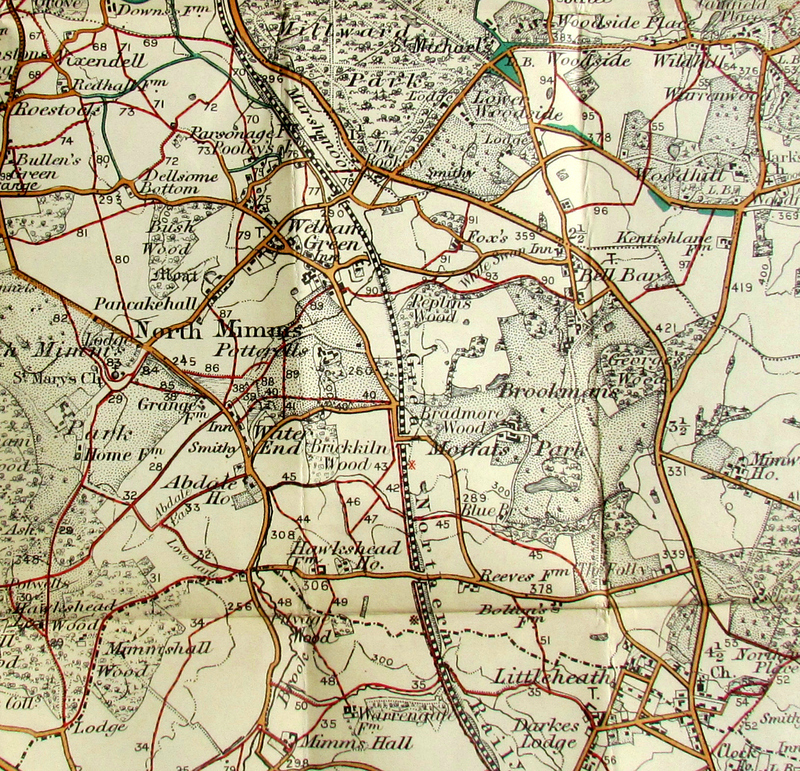 It's part of The Peter Miller Collection and was loaned to The North Mymms History Project by local historian and archivist, Peter Miller, so that it could be reproduced online. 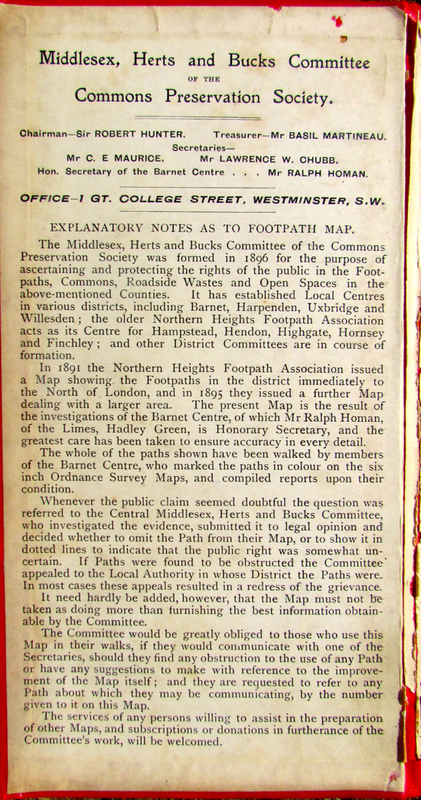 Public footpaths are marked on the map with red lines. 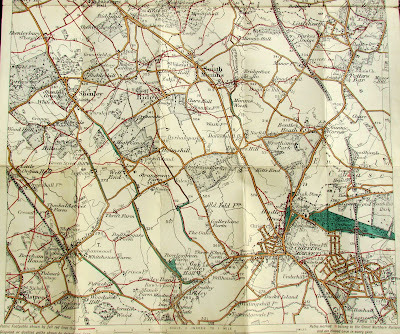 Disputed or doubted paths are marked with red dotted lines. 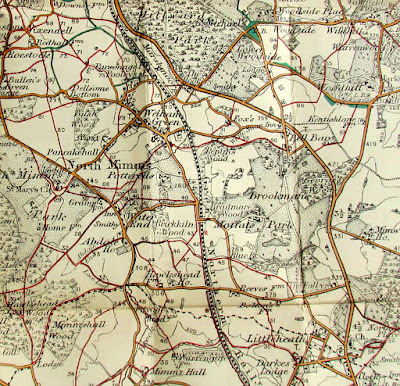 Paths marked with a cross and four dots are, according to the text on the map, owned by "the Great Northern Railway and are closed once in every year". 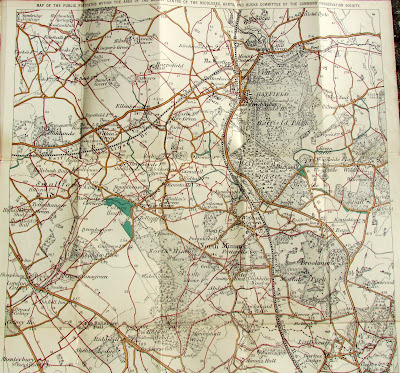 To view the maps in more detail, click on any of the images below to reveal a larger version then zoom in further.